Warwickshire is the name of a serene county located in England’s West Midlands. The county spans approximately 60 miles from south to north. Warwickshire is a hub for historic sites, with its many medieval and Georgian market towns. It also is home to a pair of well-known castles. 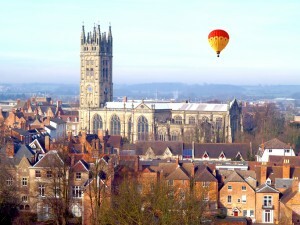 Many people visit Warwickshire to enjoy not only the historic landmarks, but also the quaint, rolling rural landscapes. Many weddings take place in this idyllic county, too. Warwickshire has a lengthy history. It was first established as part of the Kingdom of Mercia toward the beginning of the eleventh century. The county was under Coventry’s control in the Middle Ages. Thanks to the county’s vast history, it features many exciting historic attractions. These attractions include Lunt Roman Fort, Ragley Hall, Compton Wynyates, Mary Arden’s Farm, Rollright Stones, Arbury Hall and the Royal Pump Rooms.Many of Warwickshire’s prominent historic sites serve as popular wedding facilities, too. Coombe Abbey, for example, is a grade I listed structured that used to be a country house. It was established as a Cistercian monastery in the twelfth century. It’s currently an elegant hotel that features extensive wedding facilities, complete with buffet meals, catering and a dance floor. The luxurious Warwickshire hotel also offers extensive wedding packages. Coombe Abbey is located on 500 acres of scenic open land full of trees and fields. It provides guests with picturesque garden, lake and moat views.Studley Castle is yet another historic wedding site in Warwickshire. The Grade II listed structure is a country house from the nineteenth century. It was constructed in 1833. Some people appreciate Studley Castle due to its blend of historic ambiance and calm countryside. Wedding packages are also provided to couples getting married at Studley Castle.Other prominent wedding sites located in Warwickshire include Ettington Chase, Warwick Castle, Dunchurch Park, Wethele Manor Farm and Shustoke Farm Barns. Some couples even opt for less conventional wedding locations in the county, notably Twycross Zoo. Share your experience with Warwickshire Weddings and let us know which are the best features of the county. 3 Great Warwickshire wedding venues and why to book them now! Have you sorted your wedding entertainment yet?